I declared it The Year Of Resolve, but I could as easily have dubbed it the year of… Surprise! Not such a surprise, some resolutions fell early by the wayside. But they didn’t all fall miserably – it just transpired that my plans required more perspective. After my return from Christmas in the UK, I mapped out my attack. It involved sailing Cecil the van back down to the South Island and deciding where to spend the rest of the summer, knuckling down to more work and perhaps abandoning play for a while. The first of the year’s surprises began with Go Travel New Zealand sending me on assignment to see sights that weren’t originally on my route. Whales and dolphins in Auckland, barely out of the city centre harbour, an abandoned railway, stories intertwined along its tracks, and an island, standing in plain view of Paraparaumu but hiding all kinds of treasure. Next came The Pioneer, a mountain bike stage race running from Christchurch to Queenstown, and so much more than a route back home via out-of-the-way places. And then I arrived back in Otago. And I was tired. Quite attracted to the idea of sitting still, I didn’t have any more plan. Or a home for that matter. Just quite a bit of work on my hands and a question on my mind – what now? The answer surprised me. People surprised me. And I ended up in Milford, as many of you may know if you’ve seen me peppering social media with an endless ecstasy of soul-lifting sights. I was lost to the world for a little while there, but I found all sorts of things – new friends, bottlenose dolphins, extortionate WiFi… some direction, fresh dreams, a bit more of myself. And all in the knowledge that the Holy Grail had found me – and not where I expected. 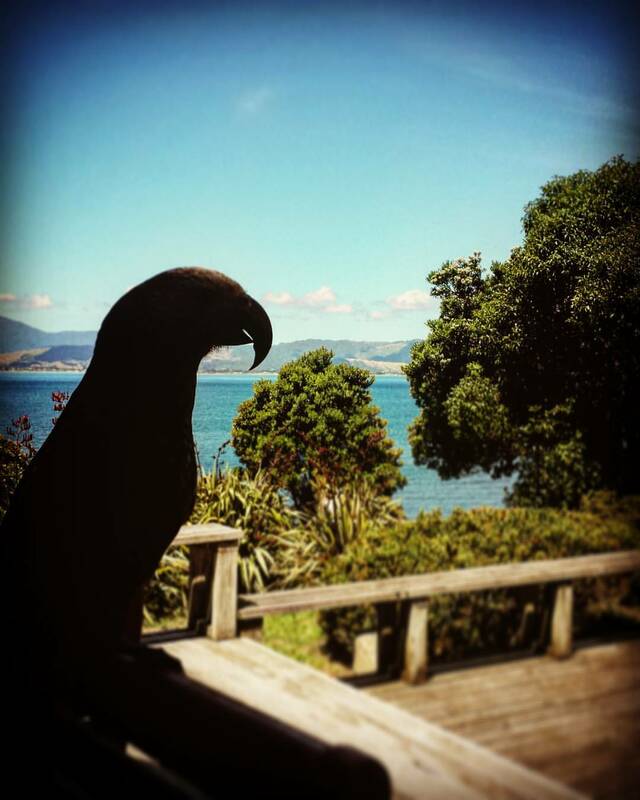 Kapiti Island is a gem. Entirely pest-free, it allows abundant, endangered birdlife and flora to flourish, including the elusive kiwi. There are melodious bush walks, paua decorated beaches, dramatic views, and a healthy supply of entertainment from the resident kaka, the kea’s michevious cousin. There overnight to go kiwi hunting, I didn’t hold high expectations. I was resigned to it being a longer road to seeing the critter than I’d gambled for in Okarito, my last hunting ground. But imagine my surprise, ten minutes into our forage, when we were faced with the unmistakable sounds of an argument in the bush right beside us. We’d stumbled upon a territory altercation that ended with one shadow in the bush emerging triumphant. His disgruntled challenger fled the scene, but not before he’d paused, right in our path, and given me a nod of acknowledgement. Thrilled, we continued on our way just for the fun of it, only to find a female foraging not too far away. Can we count that as two-and-a-half kiwi?! And I wasn’t even meant to go to the island looking! The year before, leaving Okarito, I observed that sometimes we can be a bit blinkered, minds on a mission, unobservant of the small pieces of happiness we could capture if we only glanced around. And it turns out, sometimes, we’re not even looking in the right places for the ‘main event’ we’re so focused on. We don’t even know, at the time, that they’re there. Being found can be just as magical as finding what you’re looking for, if not even more so. Being found by a solution, a place… a person. Perhaps somewhere or someone that we had written off, or not even considered as a possibility. It’s nice to know that if you’re in a state of thinking inside the box, outside the box can break in and grab you when you’re not looking. The months continued in the same vein, endless adventures in magical Milford broken up by a trip to Melbourne to witness a wonderful wedding in a rose garden. And in Melbourne, the bride made me an offer as unexpected as it was enviable. 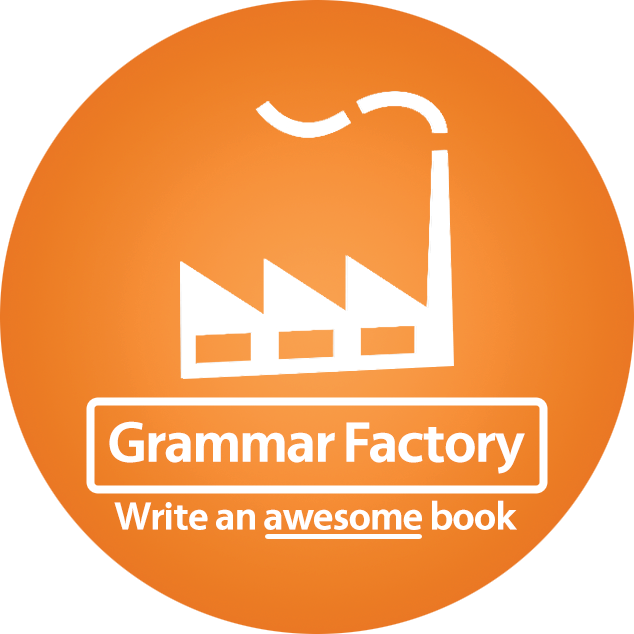 In a friendly takeover, it transpires I’ll now be working as an editor under Jacqui Pretty at Grammar Factory when it comes to engaging with entrepreneurs writing business books, which is brilliantly exciting. Fiction and literary nonfiction will still have their place here, at Right Ink On The Wall, and with updates in the pipeline, this website marrying my books, business and desire to make the world a brighter place might begin to make a bit more sense! All that was left to make April the polar opposite of last year was my passport arriving back in the post with a visa saying: Permanent Resident. I may lay my head in many different places and have a whole lot of world left to explore… But the majestical home of the mythical kiwi is now my forever home too. You would only have to read backward in time in this blog to see that hope & happiness were clouded over for a wee while, despite attempts to pin down the silver linings. Dark weather can swoop in and affect us all, and I’m sorry for the questionable poetry that hit your inboxes when that happened here… But just look at how things can turn around. And trust. Trust that good things come. They do. They will. Even if, when they find you, it’s a big surprise. This entry was posted in On Nature, On Where I've Come From & Where I'm Going and tagged author, editor, good things come to those who wait, grammar factory, kapiti island, kiwi, make the right mark, new zealand, right ink on the wall, sara litchfield, surprise, the pioneer, trust, writer on May 7, 2016 by Sara Litchfield.